Our North County San Diego League co-sponsors Lunch with League with the San Diego League. 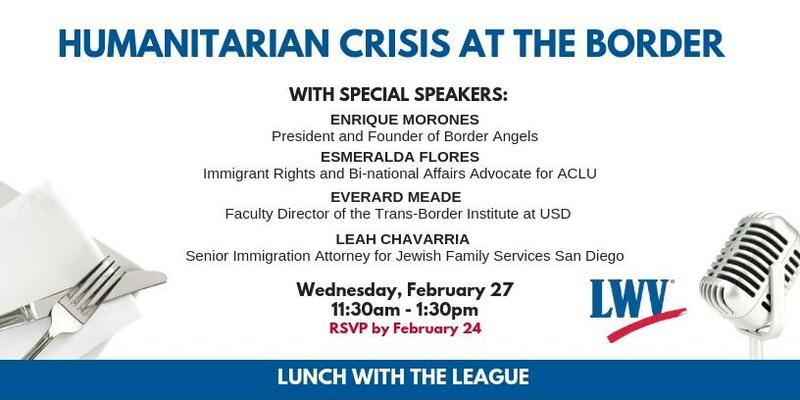 This event is bringing in the experts to tell us what they're seeing and how they're responding to immigrants seeking asylum and entry at our border. Come get the latest updates and learn how you can help.